To gain entry into the SDA Bocconi Business School prospective students must have an acceptable score on the GMAT® or GRE® or SDA Exam as well as an English Proficiency Test. The SDA Exam consists of three areas accessing quantitative skills, logic and verbal skills. 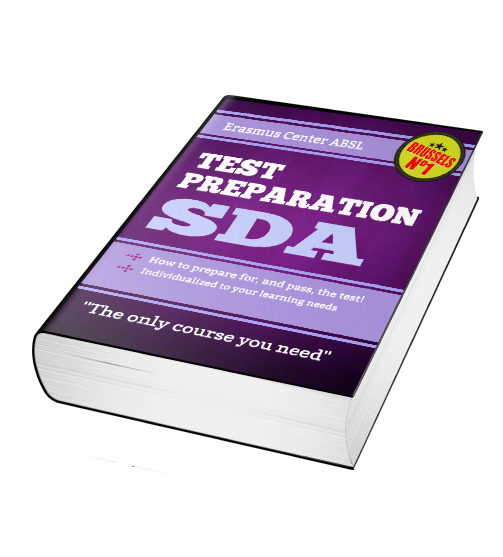 The SDA is a comprehensive exam covering topic areas that can be difficult for many students who do not prepare. The Erasmus Center teachers are familiar with the admission process at the Bocconi Business School, and can guide you thru the tutoring needed for the SDA exam as well as preparation for your English exams such as the IELTS or TOFEL. Our preparation is individualized to your learning needs. After a free diagnostic exam, we will develop your tutoring plan, and present you with the paid tutoring options. Erasmus Center also offers Free Seminars on test preparation and admissions processes. The Erasmus Center offers you a free diagnostic test so we can best understand your level of understanding and develop a personalized plan for your tutoring. Tests are given weekly – contact us and schedule your test today. Why a live tutor better than an online course? SDA Bocconi – the School of Management of Universitia Bocconi are terms used for and copyrighted by the Universitia Bocconi, which is not a part of Erasmus Center, ASBL. Universitia Bocconi does not endorse Erasmus Center, ASBL publications, services or products.